Two more chapters before the year ends! 46 is thematically quite fitting for new year’s so I had to rush that one out too, despite it being one of the trickiest editing jobs in the series so far. I hope you enjoy the results, though. Finally, a scientific explanation for cartoon physics… Kind of. Joyous Kwanzaa and Happy Hanukkah to everyone! Some comics break the fourth wall… Kimengumi never really had one in the first place. …Okay, maybe not really but still, damn. It’s the last episode. In the 3+ years this blog has been up, I finally managed to finish a full length series. Amazing, huh? Very big thanks to everyone involved in the project who helped to make this happen (Kaixe and RX in particular), and all of you Ideon fans out there who have been following us all this time. Anyway, as people familiar with Ideon’s production already know, the series got cancelled prematurely before the storyline was fully finished, leaving us with this rather strange and abrupt finale. 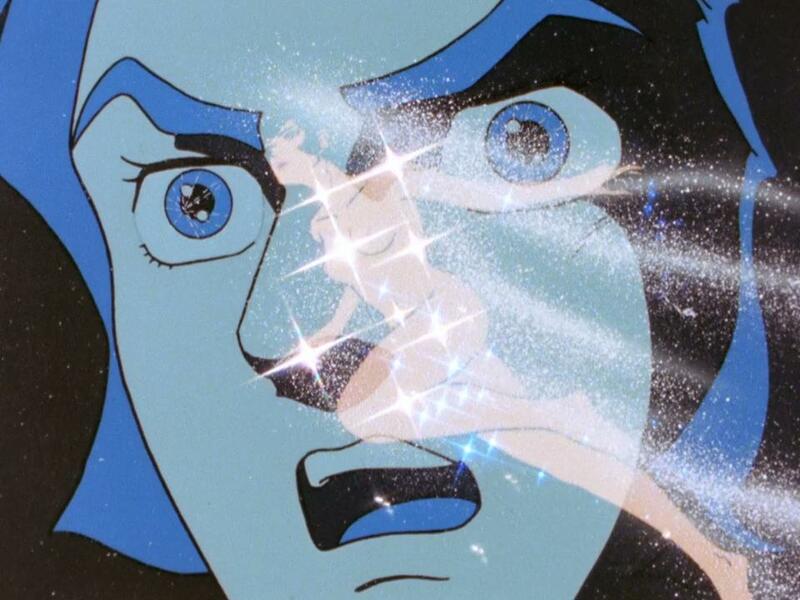 Fortunately the scripts for the final missing episodes eventually got animated in the form of the movie Ideon: Be Invoked, so be sure to watch that to witness the true, intended ending… It’s quite a spectacle to behold to say the least. So, what now, you might ask? The first obvious thing left to do is to put together a batch for the entire series. If you happen to have noticed any typos or other dumb flubs while watching the series (no matter how minor), please report them now as I’d like to make sure the subtitles are as polished as they can possibly be before making the batch release. After that I’ll give Be Invoked a look and depending on the quality of the existing subs I might release my own subtitles for the movie if necessary. As for the first movie, “A Contact”… Well, it’s mainly just a cut-down, abridged version of the events of the TV series made for people not familiar with the show, so I don’t feel a pressing need to provide subtitles for that one. Watch the old [Shin-Getter] release if you really want to see it, I guess. Subs might be iffy but not downright horrid if my memory serves right. We reach the summer chapters of Kimengumi just as winter rolls around… Well, maybe some of you are southern hemisphere dwellers?